Joel and his best friend of many years, Lucas, are awaiting friends to attend a senior-year, spring-break, beach party. Joel seems abnormally tense as he and Lucas discuss their fears and hopes for the future. When Trisha, Holly, Rick, Laura and Joel's girlfriend, Beth, arrive, it's clear that friendship, dreams, and concerns about the future after graduation are on the minds of everyone. Beth confronts Joel about their relationship, and as Joel's anxiety level rises, we begin to understand that he is hearing voices. These Voices insistently torment Joel, resulting in him being admitted into an adolescent, acute care, psychiatric hospital. There Joel meets other young people who are also struggling with who they are and their changing worlds. Tom shows Joel the ward and introduces him to Coby, a streetwise young woman whose rough exterior covers a caring heart, and to Julie, a delicate young woman who repeatedly mistakes Joel for a lost friend. As each character seeks to clarify their future, they prepare to say goodbye to their familiar lives and hello to a world of new opportunities. 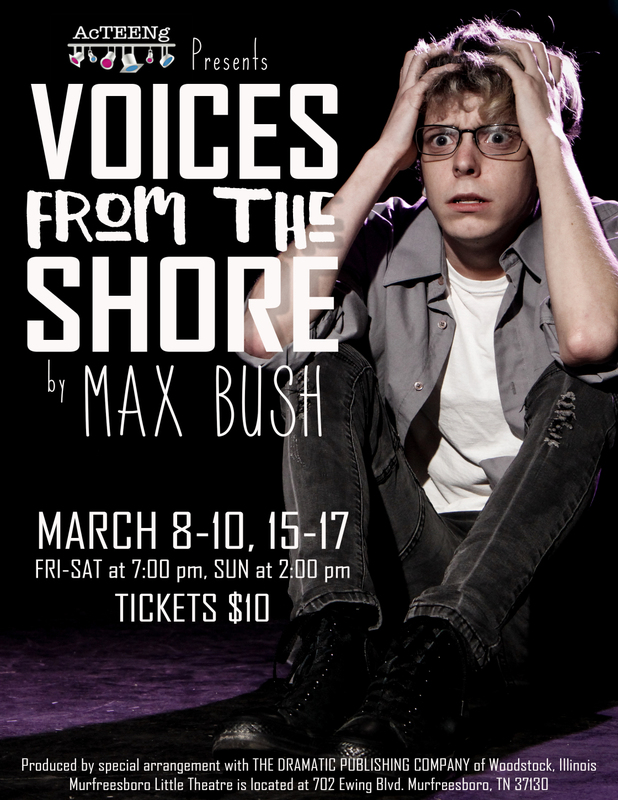 Told with humor, honesty and directness, Voices From the Shore celebrates the anxieties, triumphs and glories of young adults struggling with understanding their changing dreams and with the responsibility for realizing them.